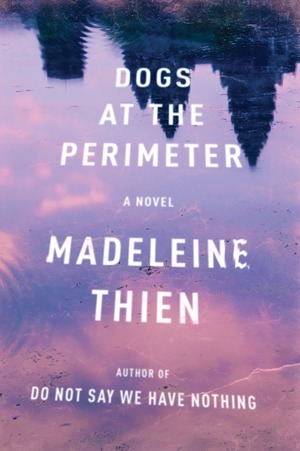 The second novel by the Man Booker Prize shortlisted author Madeleine Thien is "beautiful, deeply moving, [and] addresses universal questions" (Independent). Set in Cambodia during the regime of the-Khmer Rouge and in present day Montreal, Dogs at the Perimeter tells the story of Janie, who as a child experiences the terrible violence carried out by the Khmer Rouge and loses everything she holds dear. Three decades later, Janie has relocated to Montreal, although the scars of her past remain visible. After abandoning her husband and son and taking refuge in the home of her friend, the scientist Hiroji Matsui, Janie and Hiroji find solace in their shared grief and pain—until Hiroji’s disappearance opens old wounds and Janie finds that she must struggle to find grace in a world overshadowed by the sorrows of her past. Beautifully realized, deeply affecting, Dogs at the Perimeter evokes the injustice of tyranny through the eyes of a young girl and draws a remarkable map of the mind’s battle with memory, loss, and the horrors of war. It confirms Madeleine Thien as one of the most gifted and powerful novelists writing today.